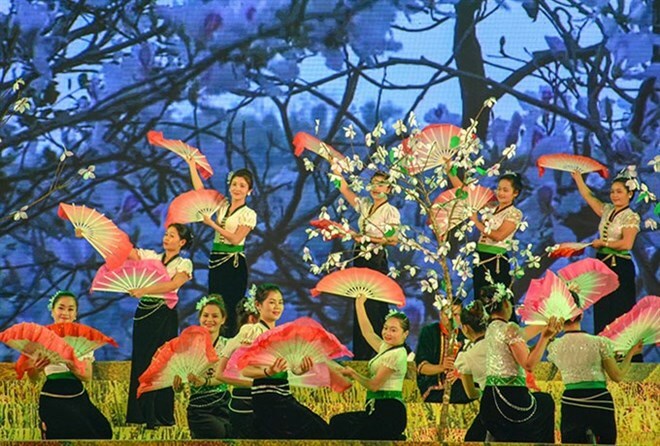 The annual festival named after the most beautiful flower in the region, ban flower (scientifically known as Bauhinia Variegata), will feature cultural life in the north and northwestern region, home to about 19 ethnic minorities, including Thai and Mong people. Held by the provincial People’s Committee in coordination with the provincial Department of Culture, Sports and Tourism, it will go along with the sixth Dien Bien Cultural, Sports and Tourism Day to celebrate the 65th anniversary of the glorious Dien Bien Phu Victory (May 7, 1954 — May 7, 2019), 110th anniversary of the establishment of Dien Bien province (June 28, 1909 — June 28, 2019 ) and 70 years of establishing the provincial Party Committee (October 10, 1949 — October 10, 2019). A book and photo exhibition featuring traditional culture of Dien Bien’s ethnic groups is expected to go along with a series of art performances including folk singing and dancing. A beauty contest, the Miss Hoa Ban, will also be held with the participation of candidates from eight northern and northwestern provinces of Dien Bien, Lai Chau, Son La, Hoa Binh, Yen Bai, Lao Cai, Phu Tho and Ha Giang to present their traditional costumes. The first Ban Flower Festival was held in Dien Bien province in 2014 with the aim of preserving and promoting the cultural values of ethnic groups and introducing the image of the province with ban trees as the symbol of the northwest region of Vietnam.